Discover how grief, cancer, and renewal inspired MFML Teacher, Clive Fogelman, to develop the Life Sequence. 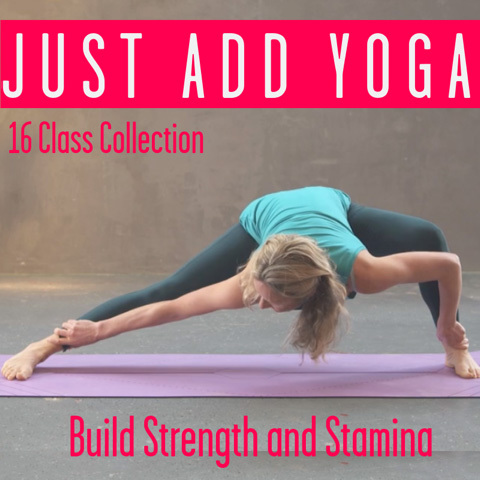 This beautiful yoga practice offers the opportunity to grow and embrace our deeper potential on the journey of life. As far back as I can remember, every time my parents took me somewhere as a young boy, I ran off. I don’t remember having anywhere to run to, just an urge to run. Eventually, I would realise that I was lost, break down in tears and scream for my parents. Even now as I trace my memory back to those moments, I can remember the panic of being alone and away from my parents. It was terrifying. That fear became reality when my parents died in close succession turning my life upside down. I was 28 years old. The question of my life and how I was living appeared in sharp focus. Questions I had perennially avoided returned again and again. How connected was I to myself, to others and the world I was part of and what was it that I really wanted? I felt untethered and wondered if I had identified myself through others my whole life. After my parents died, I travelled for long periods searching for meaning and the fragmented parts of my existence. I pushed people away and drew them back in. I pursued solitude yet yearned for intimacy. I was scared of getting close to others, worried that I might be abandoned again. I lived life with urgency because I was scared it would be ripped away from me at any moment. I had to experience everything in the now. As I started the process of healing, I voyaged deep into yoga, meditation and psychotherapy. I went through a process of deconstruction. My yoga practise became a mirror of my life. It was illuminating to experience how closely related my experiences were on the mat and in my life. My attitudes and feelings about life were presenting themselves through my practise and my movement. I progressively found myself drawn to restorative yoga and meditation, benefitting significantly from their healing qualities and the space they offered for exploration and enquiry. In my professional life, I was intrigued by the prospect of integrating yoga and psychotherapy together and so decided to train as a yoga teacher to complement my psychotherapy training, which had started some years prior. I trained at the White Lotus Foundation, a special place in Santa Barbara, California. The training was a memorable experience. Towards the end of the training, we were asked to teach a class that represented our teaching aspirations. I was filled with a great sense of clarity as I formulated my sequence. I wanted to teach a sequence that took people from birth to death through yoga postures and movement. I wanted it to represent the journey of life; birth, childhood, adulthood, relationships, work, older age and death. I wanted the sequence to encompass the full experience of life, including the joys and the struggles. I hoped it would capture the evolutionary and cyclical nature of our existence. With an embodied focus the intention was to create a journey of life, which allowed people to take the gaze inwards and reflect on the past, present and future while creating an experiential setting for people to explore this through their bodies. I named it the Life Sequence. When I returned home, I taught it in small groups. The feedback was positive with many people urging me share it with a greater audience. The sequence progressively evolved as did my yoga teaching. But then everything changed. A few years later, at the age of 33 years old, just as I was rebuilding my life, I was abruptly diagnosed with bowel cancer. I was devastated. My world came crashing down once again. I had four major surgeries in the space of five months. I spent long periods in hospital and at moments was taken to the edge. Time stopped still. It took me several years after my parents died to find my feet. My therapy and yoga work were developing and providing great satisfaction. I was in a relationship with my girlfriend (now wife) Isabelle after years of struggling to form attachments. For the first time in a long time I had dreams and aspirations. But when cancer intervened, I felt like I was being told that I was not allowed this. Once again I was forced to reassess my life as I faced a long road to recovery. It was an immensely difficult period for me and those close to me. Healing takes time, physically, emotionally and mentally. There were many setbacks and frustrations. We have been suspended for long periods in uncertainty and still are as I navigate the journey of remission. But there has also been significant growth. Cancer has made me humble and encouraged me to reflect on what is important in my life and my wellbeing. Cancer has been a time out; an opportunity to explore deeply. Another chance to rebuild. I returned to the Life Sequence in the days when I was at home recovering, expanding it with the insights afforded to me through cancer. The experience of death in different ways has opened me up to life. It has brought me closer to myself and others while bringing a deeper sense of contentment. It has connected to me to all that I have lost but also all that I have gained. Irvin Yalom once wrote that we cannot live life fully until we accept our inevitable death. This has deeply resonated with me from an early age. I don’t know if I can accept death fully. At times I have felt close to this possibility. At other times, it feels unimaginable. Reaching that final point of acceptance is perhaps not so important. What I do believe is important is facing the complex feelings that come with loss as they appear and with that the myriad of feelings that come with being human. This is the journey for me. Every experience in life affords some form of opportunity to grow and embrace our deeper potential. This is the heart of the Life Sequence – a space to integrate, grow and explore. The next Life Sequence event will be held at West Lexham in Norfolk, United Kingdom on March 10th to March 13th 2017. For more information, click here. This post was written by Clive Fogelman. 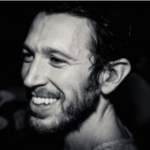 Clive lives in London and currently works as a yoga and meditation teacher. He has a creative an open-minded approach to his work, influenced by his psychotherapeutic and sporting background. He enjoys helping people to cultivate intuition within their bodies and is very passionate about providing spaces for healing, nourishment and replenishment through a combination of restorative yoga, breath work and meditation. Find out more at www.helloyoga.co.uk. This entry was posted in Inspiration // Empowerment and tagged cancer, Clive Fogelman, grief, Inspiration, journey of life, life challenges, life journey, the life sequence, yoga for cancer on November 11, 2016 by Edith Johnson.